I was recently asked for my opinion on fitting aftermarket coilover suspension to a 360 – my response was that it would be a bad idea. The 360 was fitted with a very sophisticated active suspension system for its day. In my opinion, replacing the electronic dampers with passive units would be a step backwards. The main components are the electronic dampers which were designed and manufactured specifically for the 360 by Boge. 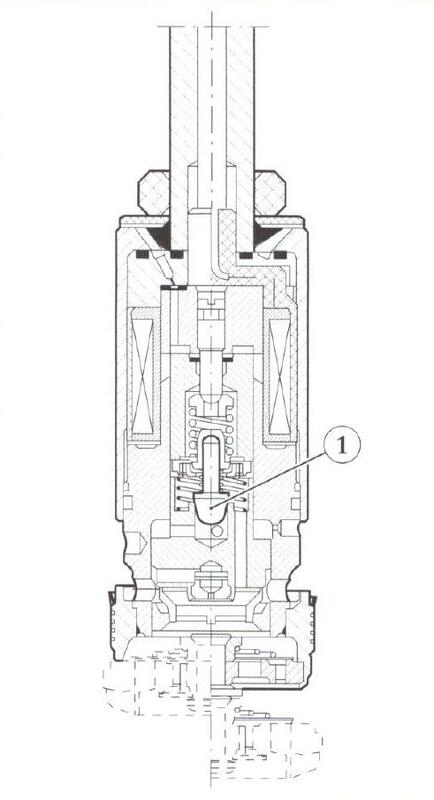 The dampers contain a small electronic valve inside the top of the unit (see diagram below). In simple terms, this valve changes the flow of oil inside the damper which in turn varies the damping force and thus the stiffness of the suspension. The valve has three settings which are determined by the amount of electrical current passing through the valve. When no current is passed through the valve the damper is at it’s maximum setting, with 0.9 Amps it is at a medium setting and with 1.8 Amps at the lowest setting. The following diagrams show the damping characteristics for the different settings. The charts display stem speed (x-axis) vs damping force (y-axis). The characteristics are different for compression and extension and are slightly different between front and rear on the car. You can see from the charts that the damping force is about four times greater in the hardest setting than in the softest setting. At the heart of the system operation is the damper ECU (part number 175222) located under the dashboard. The ECU receives data from three accelerometers – located behind the front bumper, inside the front compartment and in the engine bay. These accelerometers allow the ECU to determine how the car body is moving in a vertical and lateral direction. 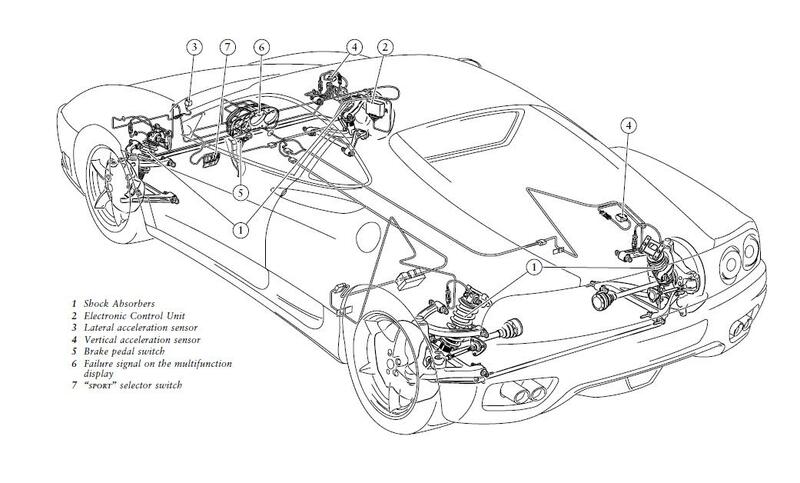 The ECU also receives signals from the ABS sensors (for wheel speed), gearbox (road speed) and the brake pedal. Depending on whether sport driving mode is selected the ECU gives priority to comfort or traction. In sport mode the suspension is noticeably firmer and body roll is much reduced. The ECU also performs onboard diagnostics of the entire system – in the event that a problem is detected an error message (below) is displayed on the dashboard. As well as storing diagnostic results, the ECU also stores data such as driving speed, acceleration (lateral and longitudinal), wheel speeds and level of braking. This information can be accessed via an SD2 machine which makes resolving any issues fairly easy for someone with the correct equipment. Finally, the damper ECU also provides information to the Motronics in the form of vibration data collected from the accelerometers. This data allows the Motronics to differentiate between engine speed anomalies caused by road vibrations and those caused by genuine misfires. In the event road surface vibration influences the engine speed the error code P1606 or P1607 (road roughness signal) is stored in the Motronic and the “Check Engine” light is displayed. Continued P1606/7 errors can be caused by faulty accelerometers. Good informative post. 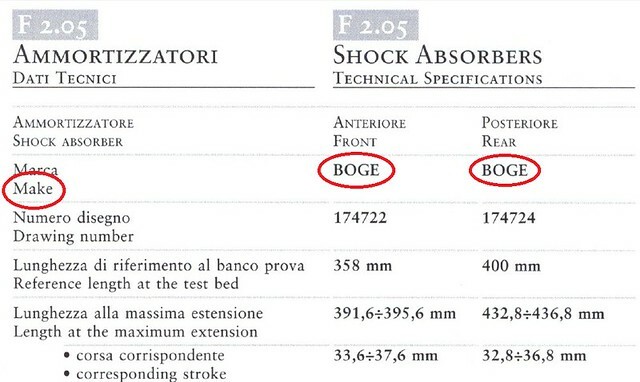 Contrary to popular belief, the dampers on the 360 are actually manufactured by AF Sach though and not Boge! … AF Sach is a German company that developed them in conjunction with Siemens VDO whom did the electronics ecu software that is matched to the spring rates. The single main benefit of adjustible dampers is the ability to be ‘soft’ when driving at low speed (to improve ride quality so you don’t loose your fillings) and then the ability to firm up relatively quickly by adapting to changes in driving and road bumps and speed the car is driving into corners. This works very well for Road applications but it isn’t perfect for track driving as it causes the car to behave strangely compared to fixed dampers. Also the tech is quite old today and massively improved on by the new magnetorheological dampers which are much much faster reacting than the old technology. In racing and circuit work however even the very latest tech is all junked in favour of the purity of low weight fixed mono dampers, which in the real world are quite compromised (you feel every bump in the road) but in racing applications are absolutely perfect (you dont get bumpy race tracks!). … So my response would be, it depends on what type of driving you will do to decide on replacing the stock 360 suspension. On smooth race tracks, firmer springs, roll bars and matched mono rated dampers will be much more progressive and easier to control, they will be more predictable and ultimately lead to a better handling car that is both easier to setup as well as better to drive hard into corners than the stock suspension of the 360, all will greatly improve lap times over stock suspension. The 360′s dampers are a good comprise for the average driver and the control is well managed but for ultimate handling (at the compromise of ride comfort) you really need to go to fully adjustible coilovers, something like MOTON 3-way adjustibles (as used in GT3 racing series on 360GT’s and later 430 GT3 racing cars). To do it right on a road car you’ll also need to trick the ecu in the dashboard not to trigger and generate a CEL and also preferably strip out a couple of hundred kilos of superflous weight (yes, it can be done if determined!). Thanks for the comprehensive reply Trev. You are correct about the manufacturer being AF Sachs. In my haste I trusted the workshop manual as a single source (extract below) – having cross referenced my other documents I am happy to confirm that I stand corrected…. Hey Guys. Appreciate the blogs. I own an ’03 360 that I track once or more each month. I’m experiencing significant understeer issues and some bottoming out. I would appreciate communicating with you offline to see what you think would be a good fix for my situation. Thanks. Do you have any postings or information on DIY lowering my cars suspension. I saw a utube post where on a 430 it showed it was just a matter of turning screw type discs below the shocks. Any info. on doing this? I want to lower it about 1 inch. The height can be altered by screwing the spring platforms up/down the shock absorber. It can be done with the shock on the car but it is a lot easier with it removed and the spring compressed. 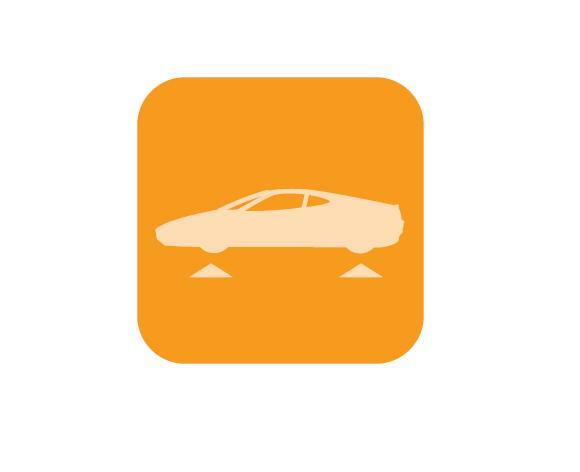 Please also note that changing the ride height will alter the geometry and you may need the camber changed.